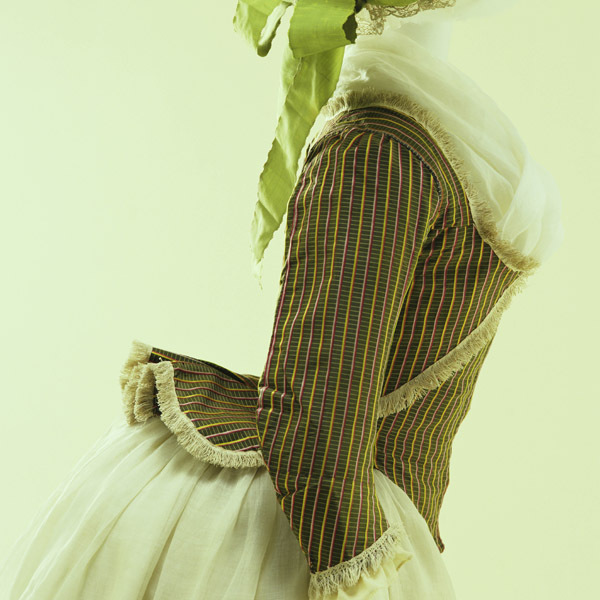 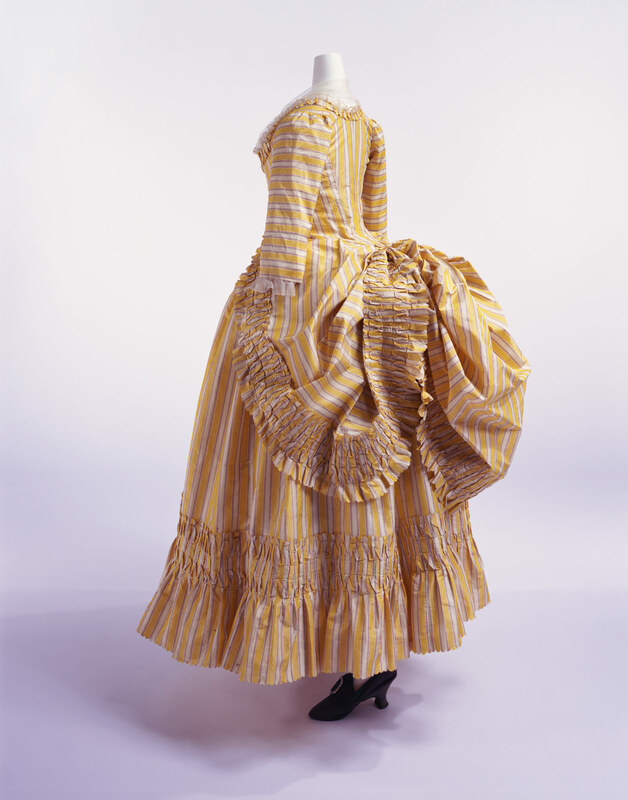 Yellow striped silk taffeta; hooked closure at front; buttons to tack robe; matching petticoat. 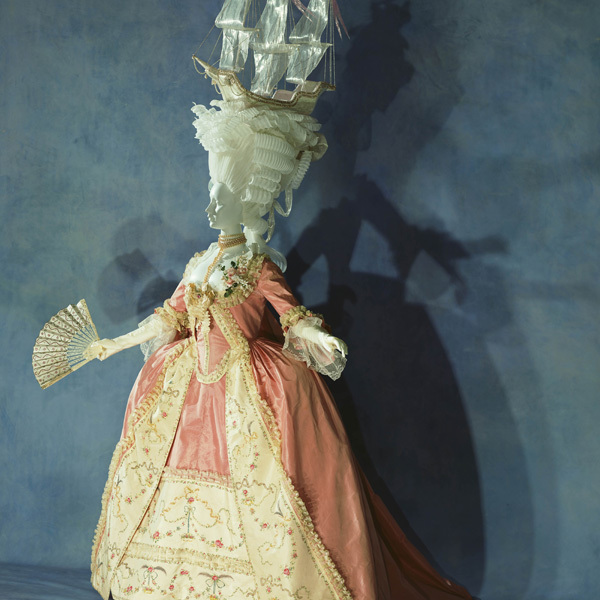 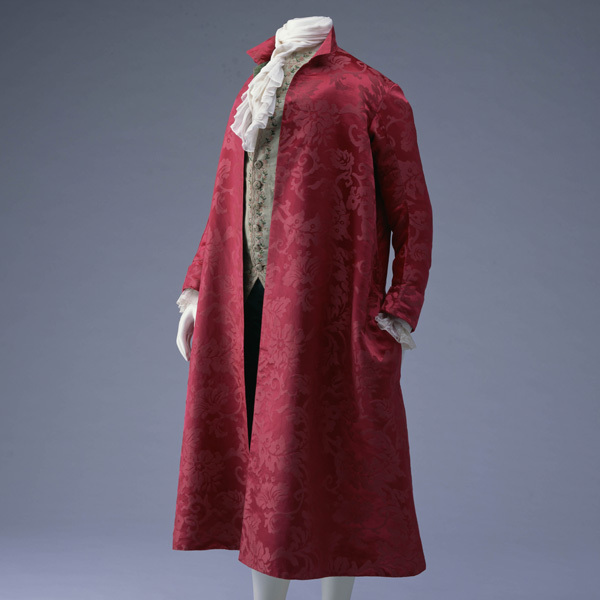 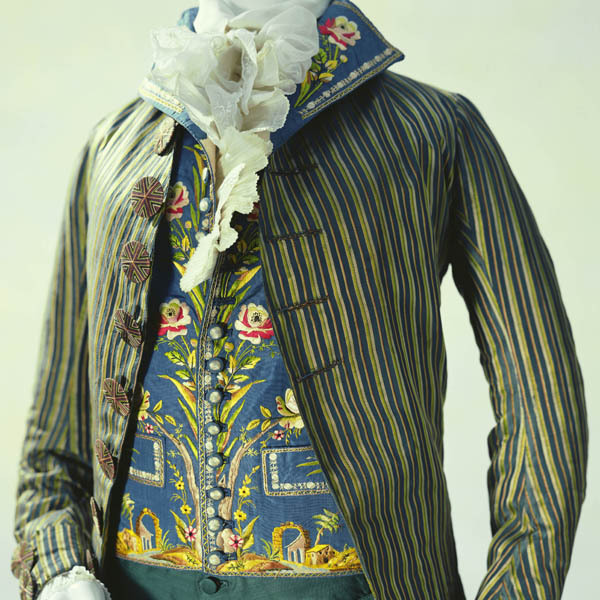 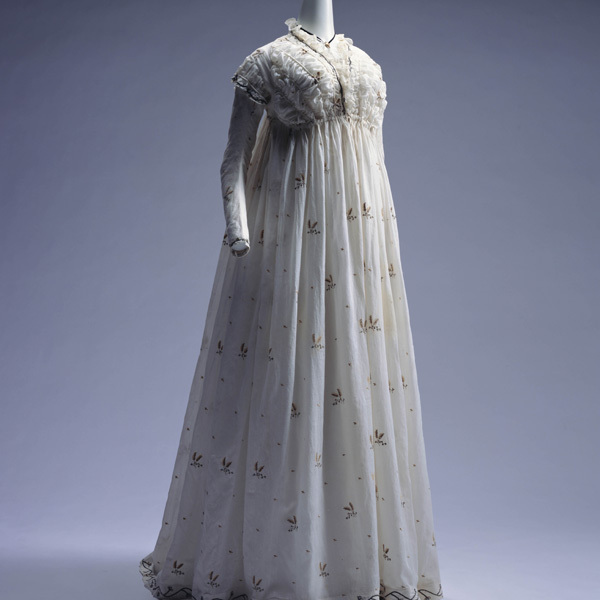 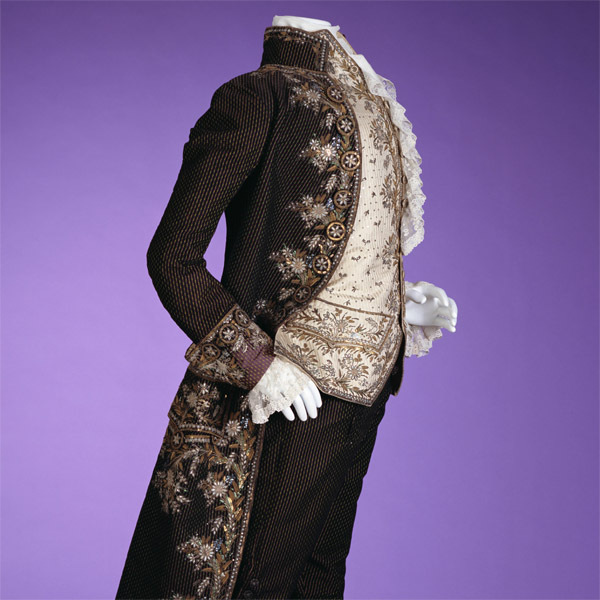 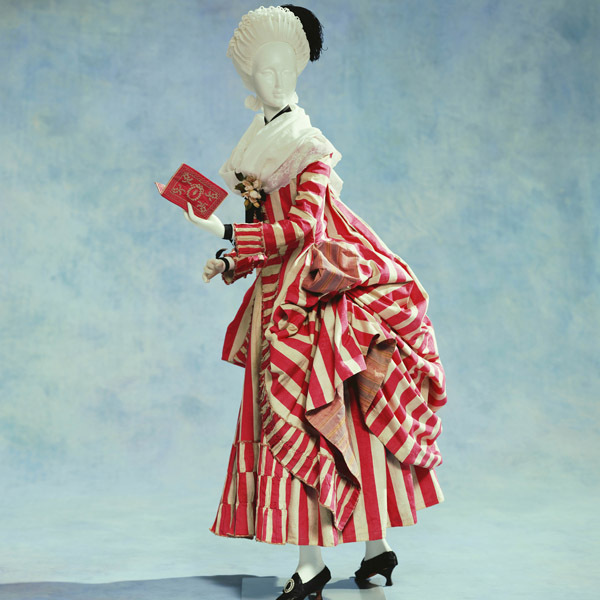 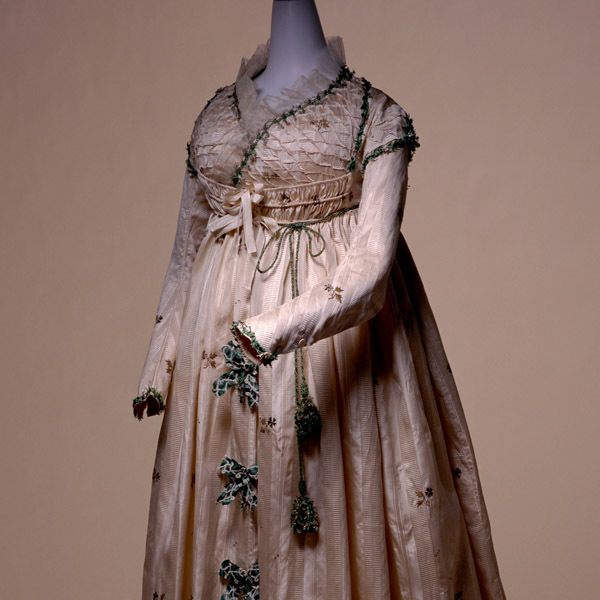 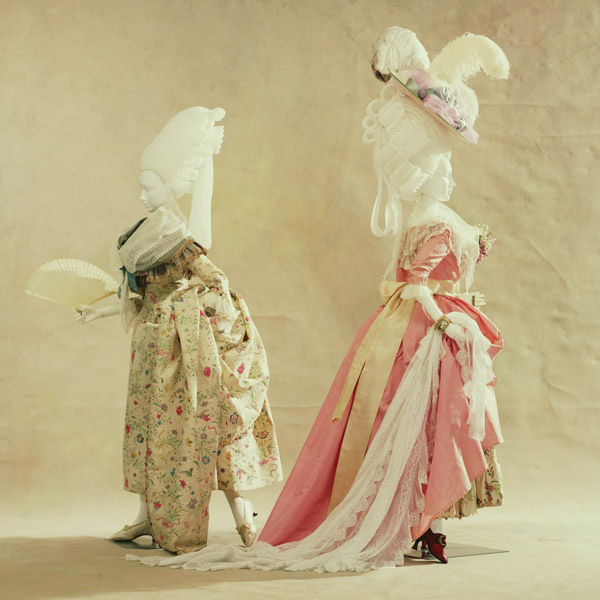 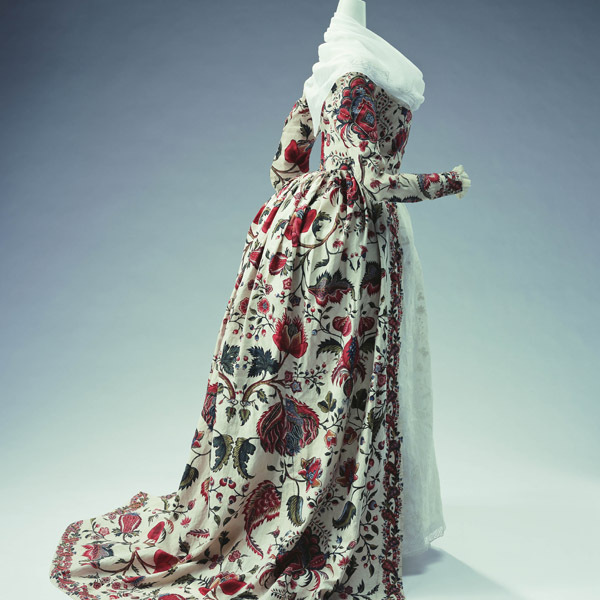 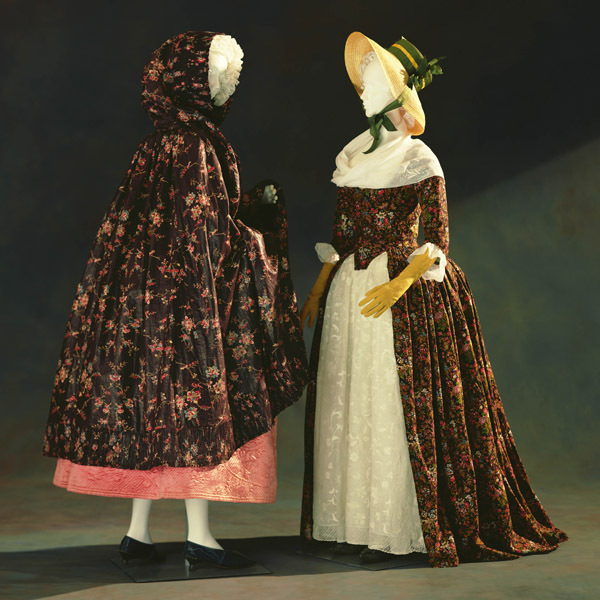 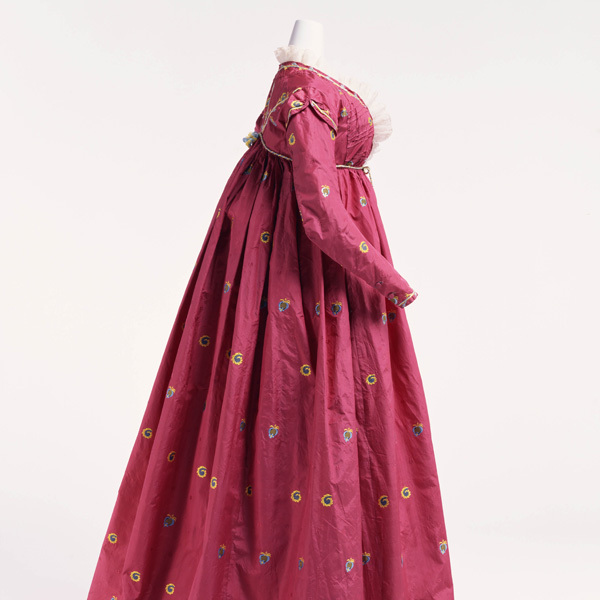 The robe à la polonaise came to popularity in the 1770s. 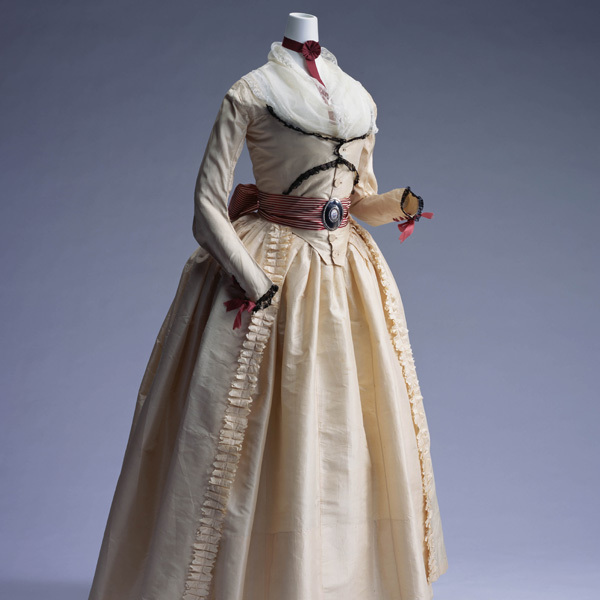 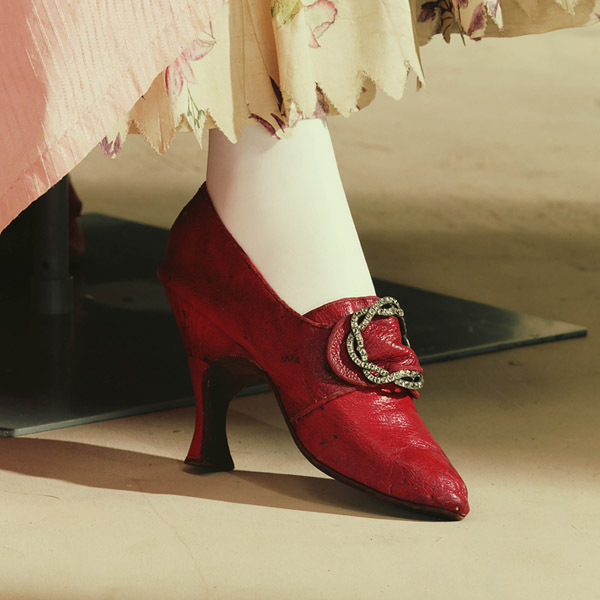 The skirt was held up by cords and divided into three panels of full drapes over the underskirt. 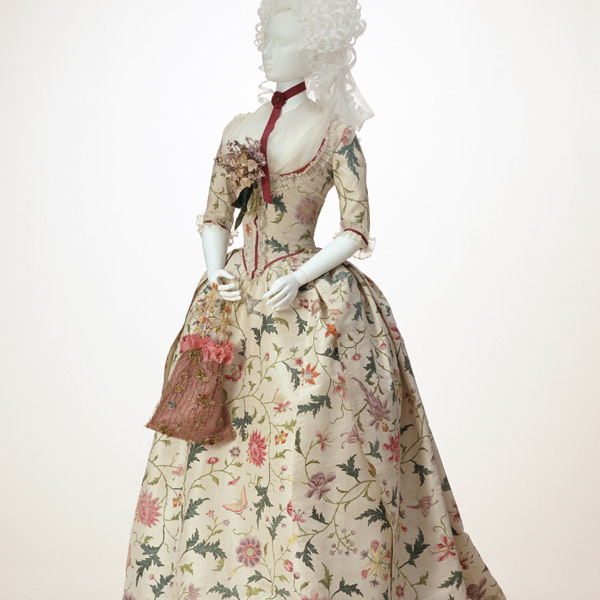 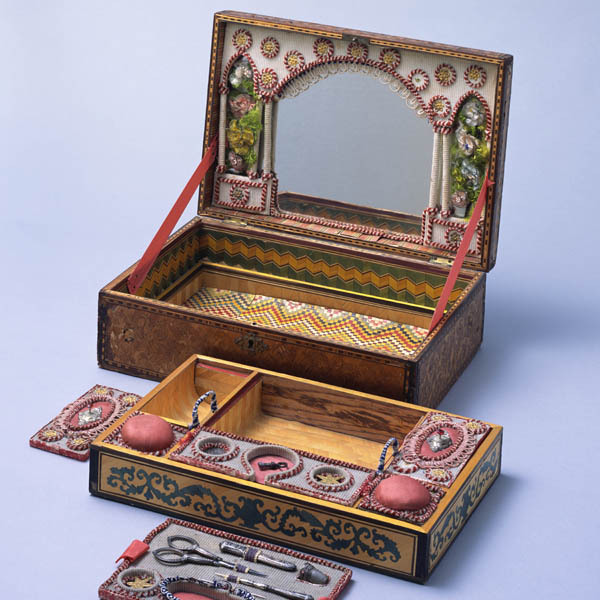 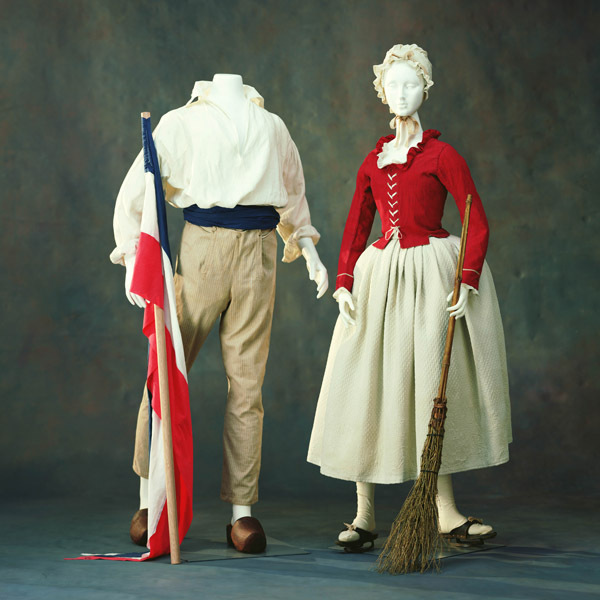 In the late 18th century, following the trend toward simple clothing except for court dress, women's costumes also became more casual. 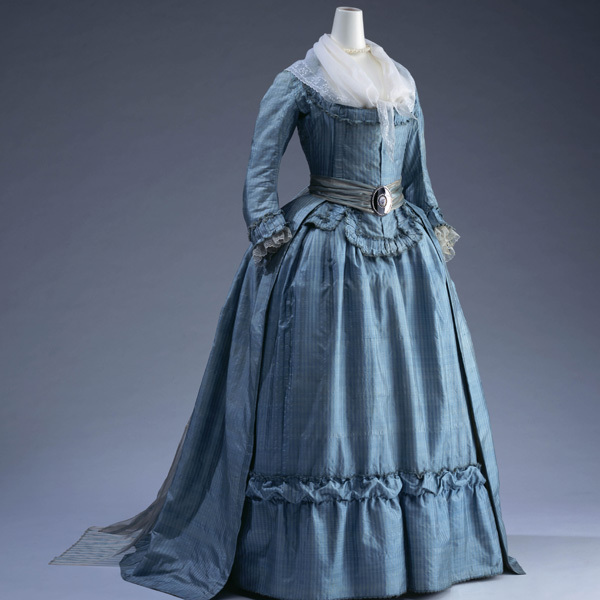 Most of the fabrics used to make dresses came to have a light texture. 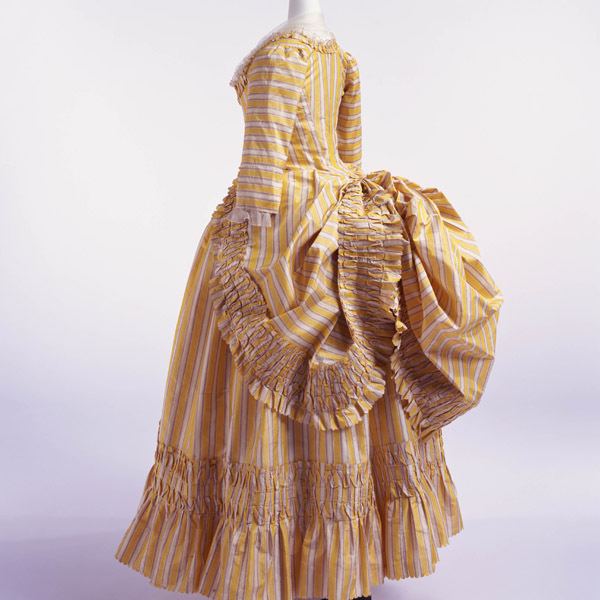 In addition, the orientation toward stripe patterns, which became popular among all classes of people, shows the same trend. 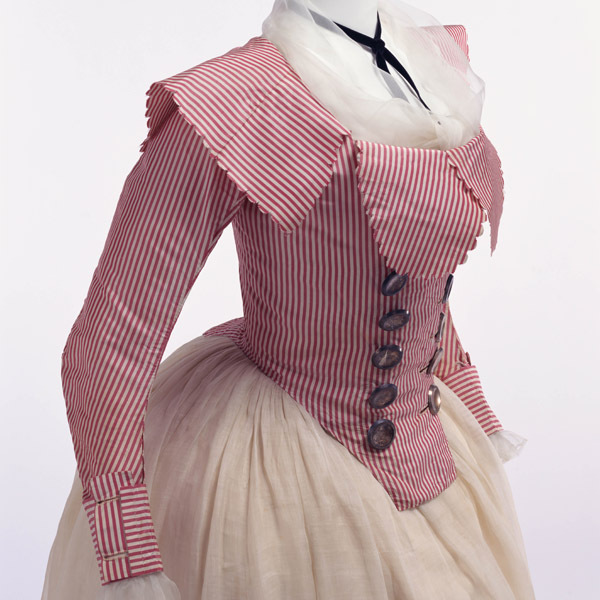 Especially in the 1780s, just before the French Revolution, clothes with vertical stripes were widely prevalent among both men and women.